Is there such a thing as a good carb? 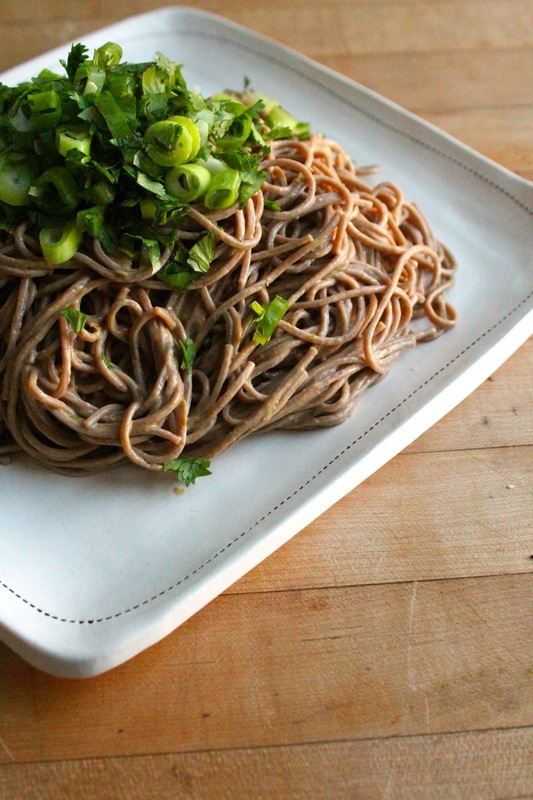 Buckwheat noodles are better for you than regular pasta, right? I have no clue, but this sounds like a perfectly reasonable explanation. If anything, buckwheat sounds like its good for me. Ahhh... carb denial. Let's have a little diet discussion shall we? I actually hate the word diet. Screams of denials and Kardashian-endorsed Khemicals. Needless to say the last few weeks haven't been my healthiest. Between packing up the kitchen in Chicago and getting together with friends to say farewell, we ate out a LOT more than usual. And all of those beers and dinners made my shorts a wee bit tighter. When I start feeling this way, my first fix is to get back in the kitchen. I know it sounds counter-intuitive to cook when one is feeling plump, but the reality for me is that I eat much healthier when I cook. Cooking a meal forces us to make conscientious choices about what we're consuming. You're the one in control of what's on the plate. For all this talk of healthy eating, this isn't even THAT healthy of a recipe. But you know what? This homemade noodle dish is fresh and certainly beats take-out. 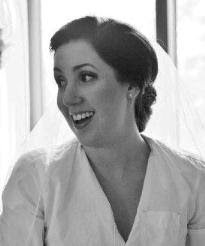 And this is my blog, so I get to rant about dieting when I feel like it. End rant. Alright, focus on the noodles. 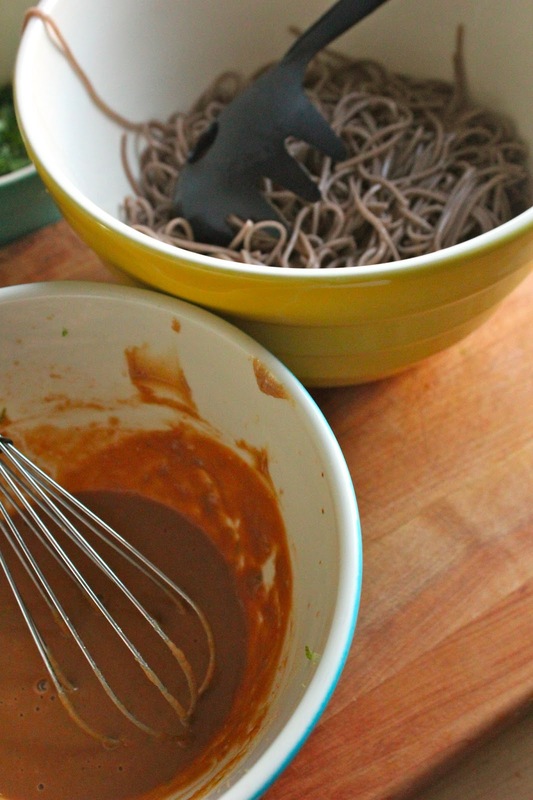 Soba are a super tasty Japanese noodle made with buckwheat flour. What's special about them to me, is that they're really good served chilled. Hello hot summer nights. Hello leftovers. I dressed them with a basic peanut sauce, which is the same sauce used for satay. You could certainly have the noodles as your main dish, but they're a great complement to a salad (and feel a bit more full). A little extra sauce would be good dressing too. Boil about 6 cups water in a medium pot and cook noodles according to package instructions. Once cooked through, drain and rinse thoroughly with cold water. Combine peanut butter, lime juice, soy sauce, rice vinegar, sesame oil, sriracha and grapeseed oil in a small bowl. Toss to combine with cooked noodles. Garnish the noodles with cilantro and green onion. Enjoy!